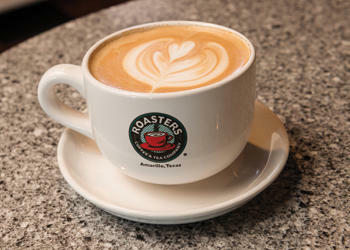 Roaster's Soncy location is convenient to many local shopping centers! Fresh roasted coffee, hand-crafted hot and cold expresso drinks, plus a variety of signature frappes, teas, sodas and more! A locally-owned Amarillo favorite since 1992, Roaster's is open Sunday 7A-9P and Monday through Saturday 6A-9M. Free WiFi keeps you connected while you enjoy a well-deserved break and a great cup of coffee made from the highest quality, personally selected beans!